Dr. Butzin graduated from Northwood University with a Bachelor’s degree in Marketing and Management. 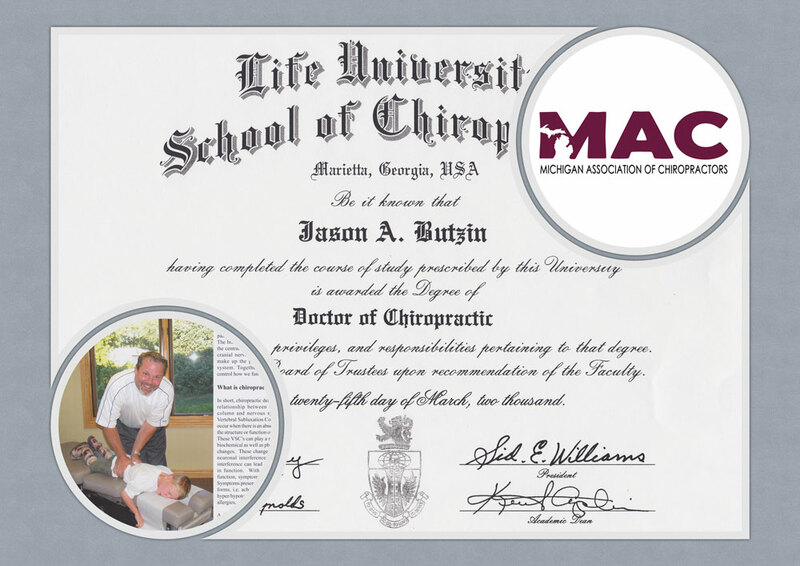 He later attended Life University School of Chiropractic in Marietta, Georgia. Currently, Dr. Butzin is an active member of the Michigan Association of Chiropractors and board-certified with the National Board of Chiropractic Examiners. Dr. Butzin enjoys golfing and spending time with his wife, Scarlet, son Steele, and daughter Sloan. Our goal is to provide quality, comprehensive chiropractic care to all or our patients in a comfortable and relaxed atmosphere. We are always trying to understand your concerns and to minimize any discomfort or inconvenience. 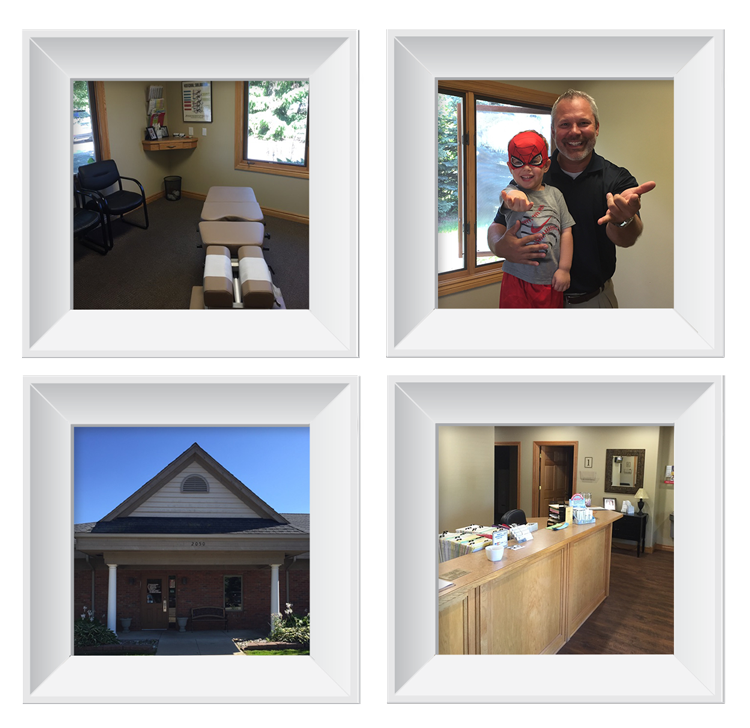 We hope you will find our practice a warm, welcoming place. Thank you for choosing Butzin Chiropractic Clinic, L.L.C. for your chiropractic care. 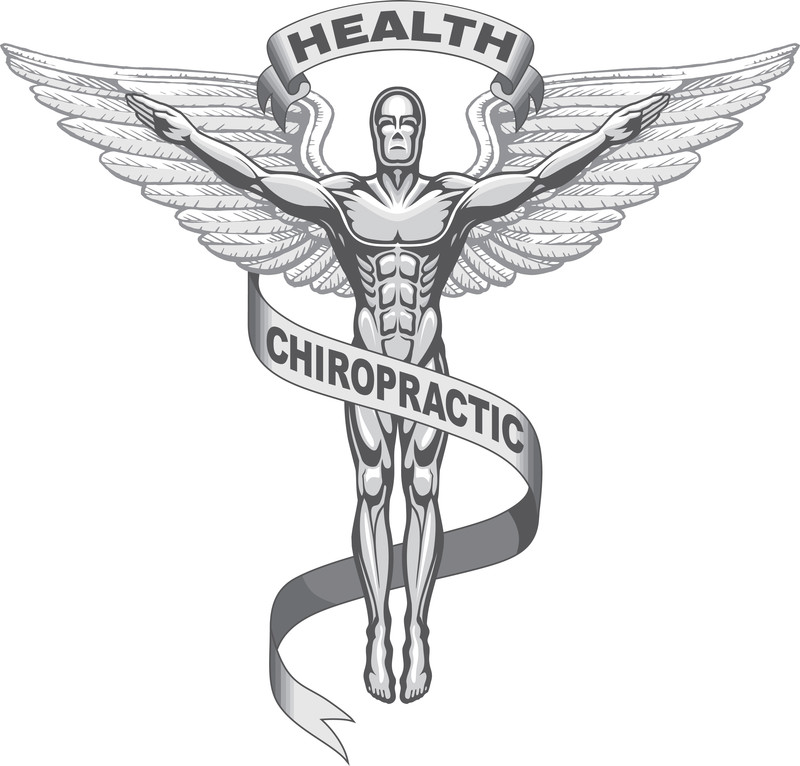 Your health and well-being are our primary concerns. You can relax knowing you have chosen professionals with a sincere interest in your health. Most patients appreciate the fact that we respect their time. You may be surprised on how quickly we can get you in and out. We know that your time is just as valuable as ours. Most insurance companies offer some type of chiropractic coverage. If you have insurance coverage, our office will verify your coverage and submit all claims for you. You will be responsible for payment of any balances not covered by your insurance, including deductibles and co-payments. We accept cash, personal checks, Visa, MasterCard, Discover or American Express. We will make every effort to assure that chiropractic care is affordable for you and your family. If you must cancel your appointment on a certain day, please reschedule that appointment as soon as possible, preferably, the next day. Cold Laser Therapy - Penetrates tissue and is absorbed by cells and effectively stimulates healing and rapid pain relief. The Miro-Current stimulates the production of the energy molecule ATP and offers muscle relaxation, increased range of motion and improved circulation. Once again, thank you for choosing Butzin Chiropractic Clinic, L.L.C. We look forward to working with you to achieve your health care goals. If you are pleased with the service and care we provided, please tell your family and friends. We are always accepting new patients.